When I was asked if I’d like to review an Experience Day, I was quite excited. Going out for a posh afternoon tea or having the chance to attend a chocolate course are the sort of things that top up my joie de vivre. Sadly, when I checked out the website, there was nothing particularly local to me in the far flung region of Cornwall and at that time, I wasn’t really in the mood to travel far. So – I’ve decided to offer up the opportunity to one of my readers instead. Reading the various chocolate experiences on offer now, I can’t quite believe that I turned the opportunity down, what was I thinking of? The Chocolate Workshop Experience, for example, starts with a history of chocolate, which I find fascinating, involving as it does all sorts of bloodthirstyness, plots and intrigue. You then get to try a range of chocolate – that in itself ought to be worth a trip. Next up you make and decorate lots of truffles which you then take home with you, all wrapped up and looking lovely – whether they’ll last the journey is entirely up to you. The nearest location to me was Bristol or Bath but there are eight others to choose from. This one is currently on offer at £50 (although there are no guarantees it will remain at this price) so if you won, you could always top up with another £25 and take a friend with you. Alternatively, there is a retro chocolate making workshop in Bristol for £75 where you can make those chocolates from yesteryear which are just so hard to find nowadays. If making chocolates and truffles is really not your thing (though I’m not sure I can believe it), there are plenty of other food experiences on offer. Other workshops include cake making, barrista training and patisserie. If you’d rather just eat the food than learn how to make it, there are a number of leisurely dining experiences including afternoon tea for two, dinner for two and a classic Thames lunch cruise for two. Experience Days have generously offered a £75 gourmet gift voucher to one lucky Chocolate Log Blog reader. Prizes are offered and provided by Experience Days and Chocolate Log Blog accepts no responsibility for the acts or defaults of said third party. Really hard to choose, either cupcake decorating as my swirly skills are terrible or bread making. Wow – can’t believe you are giving this away, are you feeling ok?! All the chocolate courses sound fab, although the Caribbean one has caught my eye – infusing truffles with guava, coconut and rum – yes please! I would love to do some bread baking. I’d like to try the Patisserie Cookery Course – I’ve been inspired since watching the Bake Off! I bought my husband an experience day for his wedding present – we made sushi! It was such a fun experience and we got to eat the fruits of our labour at the end of it too. Oh the Patisserie one! So many lovely ones though to choose! i would love to start making my own chocolate so the chocolate making experience would be fantastic! I’d love to do the bread making course but it is a bit expensive! Chocolate making course for definate. Afterall we’ve all got a sweet tooth. the chocolate truffle workshop, yum! Tea for two is my choice. Definitely chocolate, it is something I have really begun to take an interest in and advice is always helpful. Cupcake decorating! I’m totally rubbish. http://www.experiencedays.co.uk/barcombe-mills-to-isfield-weir-sussex-kayaking-river-trip seeing as it’s literally down the road from me! So I was going to say the patisserie or barista ones as they are future usueful….but then…Christmas dinner on the Pullman. Oh My! Id like to have a go at the Retro Chocolate making class! The Wine Tasting Master Class would be my choice, it looks fabulous and I’d learn such a lot, fingers crossed. the Chocolate and Champagne Masterclass sounds fab!!! The chocolate truffle making workshop would be amazing! Marriott Afternoon Tea for Two!!! Would love the French Provincial Cooking. Vineyard tour sounds good to me! I’m a real chocoholic so would love the chocolate course or the baking! They all look so good, but I would choose bread making. a lovely meal out sounds nice. Defo Tea for 2 for me! The choice available in Norfolk isn’t exactly plentiful but there is the Chocolate Truffle Making Workshop in Norfolk – hurrah! They all look good! Probably the champagne afternoon tea so I could take my husband for a treat. I’d love to try the Chocolate and Champagne Masterclass in Glasgow. Cupcake classes, which just happen to be where my parents live. Chocolate Making Workshop In Manchester sounds like a good one to me. I think i’d prefer a meal out….! I love chocolate and cakes , but I’m not really interested in cooking/ making food. The afternoon tea sounds awesome! Cupcakes and Cocktails Masterclass in Glasgow – as that’s the only one in Scotland! I’d love to try my hand at a Patisserie Cookery Course! A chocolate or cake decorating class! I am lazy so I’d plum for the classic Thames lunch cruise for two, how fab. Either a cake decorating or a sushi making workshop. Being a chocoholic myself a chocolate workshop is a dream! Definitely a chocolate making workshop! Classic Thames Lunch for 2 ! One of the chocolatey ones would be my instinctive choice – and the closest to me, but I’ve never tried sushi and its on my list so maybe I would surprise myself and go for that! The chocolate workshop sounds fun, but afternoon tea for two would be great for my mother-in-laws 75th birthday. As a true chocoholic it would have to be the chocolate making experience. patisserie course would be my dream! Pamela says Chocolate making or champers afternoon tea if all the above ladies have booked out the chocolate making workshops! I’d love to do the Chocolate Workshop. I would like to win chocolate workshop. The chocolate workshop, not a difficult choice! A lovely afternoon tea with my husband! 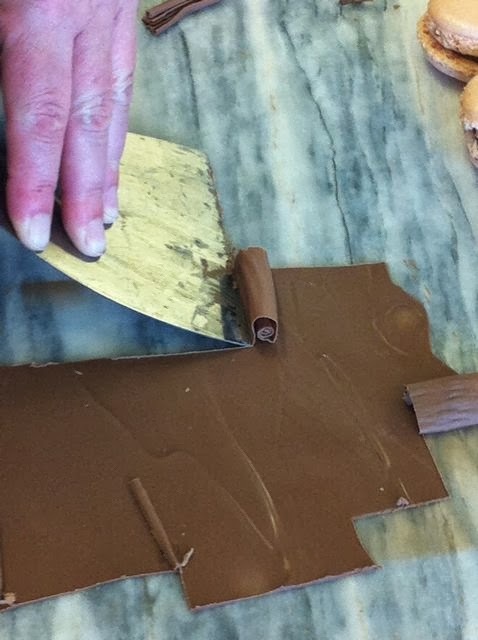 I’d love to go on the Luxury London Chocolate Making Workshop…sound amazing! Chocolate workshop for me thanks. I’d choose the chocolate workshop. Afternoon Tea for me, always wanted to give it a try. Marriott Afternoon Tea sounds divine! The chocolate workshop for me! Would looove either the chocolate making or the italian masterclass! I think cupcake making sounds great.